In this chapter, the important concepts of linearity and time-invariance (LTI) are discussed. Only LTI filters can be subjected to frequency-domain analysis as illustrated in the preceding chapters. After studying this chapter, you should be able to classify any filter as linear or nonlinear, and time-invariant or time-varying. The great majority of audio filters are LTI, for several reasons: First, no new spectral components are introduced by LTI filters. Time-varying filters, on the other hand, can generate audible sideband images of the frequencies present in the input signal (when the filter changes at audio rates). Time-invariance is not overly restrictive, however, because the static analysis holds very well for filters that change slowly with time. (One rule of thumb is that the coefficients of a quasi-time-invariant filter should be substantially constant over its impulse-response duration.) Nonlinear filters generally create new sinusoidal components at all sums and differences of the frequencies present in the input signal.5.1This includes both harmonic distortion (when the input signal is periodic) and intermodulation distortion (when at least two inharmonically related tones are present). A truly linear filter does not cause harmonic or intermodulation distortion. All the examples of filters mentioned in Chapter 1 were LTI, or approximately LTI. In addition, the transform and all forms of the Fourier transform are linear operators, and these operators can be viewed as LTI filter banks, or as a single LTI filter having multiple outputs. In the following sections, linearity and time-invariance will be formally introduced, together with some elementary mathematical aspects of signals. Definition. A real discrete-time signal is defined as any time-ordered sequence of real numbers. Similarly, a complex discrete-time signal is any time-ordered sequence of complex numbers. Mathematically, we typically denote a signal as a real- or complex-valued function of an integer, e.g., , . Thus, is the th real (or complex) number in the signal, and represents time as an integer sample number. Alternatively, we can write for all . i.e., ( is a complex number for every integer ). It is useful to define as the signal space consisting of all complex signals , . We may expand these definitions slightly to include functions of the form , , where denotes the sampling interval in seconds. In this case, the time index has physical units of seconds, but it is isomorphic to the integers. For finite-duration signals, we may prepend and append zeros to extend its domain to all integers . Mathematically, the set of all signals can be regarded a vector space5.2 in which every signal is a vector in the space ( ). The th sample of , , is regarded as the th vector coordinate. Since signals as we have defined them are infinitely long (being defined over all integers), the corresponding vector space is infinite-dimensional. Every vector space comes with a field of scalars which we may think of as constant gain factors that can be applied to any signal in the space. For purposes of this book, ``signal'' and ``vector'' mean the same thing, as do ``constant gain factor'' and ``scalar''. The signals and gain factors (vectors and scalars) may be either real or complex, as applications may require. Definition. A real digital filter is defined as any real-valued function of a real signal for each integer . Thus, a real digital filter maps every real, discrete-time signal to a real, discrete-time signal. A complex filter, on the other hand, may produce a complex output signal even when its input signal is real. where denotes the entire input signal, and is the output signal at time . (We will also refer to as simply .) The general filter is denoted by , which stands for any transformation from a signal to a sample value at time . The filter can also be called an operator on the space of signals . The operator maps every signal to some new signal . (For simplicity, we take to be the space of complex signals whenever is complex.) If is linear, it can be called a linear operator on . If, additionally, the signal space consists only of finite-length signals, all samples long, i.e., or , then every linear filter may be called a linear transformation, which is representable by constant matrix. 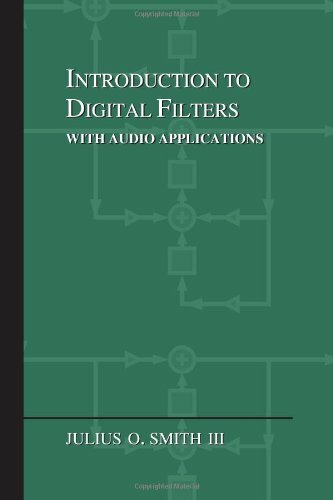 In this book, we are concerned primarily with single-input, single-output (SISO) digital filters. For this reason, the input and output signals of a digital filter are defined as real or complex numbers for each time index (as opposed to vectors). When both the input and output signals are vector-valued, we have what is called a multi-input, multi-out (MIMO) digital filter. We look at MIMO allpass filters in §C.3 and MIMO state-space filter forms in Appendix G, but we will not cover transfer-function analysis of MIMO filters using matrix fraction descriptions . While any mapping from signals to real numbers can be called a filter, we normally work with filters which have more structure than that. Some of the main structural features are illustrated in the following examples. Such a specification is known as a difference equation. This simple filter is a special case of an important class of filters called linear time-invariant (LTI) filters. LTI filters are important in audio engineering because they are the only filters that preserve signal frequencies. The use of ``future'' samples, such as in this difference equation, makes this a non-causal filter example. Causal filters may compute using only present and/or past input samples , , , and so on. where we have introduced vectors and matrices inside square brackets. This is the 2D generalization of the SISO filter . Another nonlinear filter example is the median smoother of order which assigns the middle value of input samples centered about time to the output at time . It is useful for ``outlier'' elimination. For example, it will reject isolated noise spikes, and preserve steps. It is time-varying because the coefficient of changes over time. It is linear because no coefficients depend on or . These examples provide a kind of ``bottom up'' look at some of the major types of digital filters. We will now take a ``top down'' approach and characterize all linear, time-invariant filters mathematically. This characterization will enable us to specify frequency-domain analysis tools that work for any LTI digital filter. The amplitude of the output is proportional to the amplitude of the input (the scaling property). When two signals are added together and fed to the filter, the filter output is the same as if one had put each signal through the filter separately and then added the outputs (the superposition property). where is the entire input signal, is the output at time , and is the filter expressed as a real-valued function of a signal for each . Think of the subscript on as selecting the th output sample of the filter. In general, each output sample can be a function of several or even all input samples, and this is why we write as the filter input. where denotes the signal space (complex-valued sequences, in general). These two conditions are simply a mathematical restatement of the previous descriptive definition. Another example of a linear signal medium is the earth's atmosphere. When two sounds are in the air at once, the air pressure fluctuations that convey them simply add (unless they are extremely loud). Since any finite continuous signal can be represented as a sum (i.e., superposition) of sinusoids, we can predict the filter response to any input signal just by knowing the response for all sinusoids. Without superposition, we have no such general description and it may be impossible to do any better than to catalog the filter output for each possible input. for any linear operator , any real or complex signals , and any real or complex constant gain factors . This means every linear filter maps complex signals to complex signals in a manner equivalent to applying the filter separately to the real and imaginary parts (which are each real). In other words, there is no ``interaction'' between the real and imaginary parts of a complex input signal when passed through a linear filter. 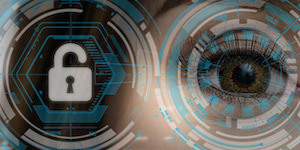 If the filter is real, then filtering of complex signals can be carried out by simply performing real filtering on the real and imaginary parts separately (thereby avoiding complex arithmetic). Appendix H presents a linear-algebraic view of linear filters that can be useful in certain applications. In plain terms, a time-invariant filter (or shift-invariant filter) is one which performs the same operation at all times. It is awkward to express this mathematically by restrictions on Eq. (4.2) because of the use of as the symbol for the filter input. What we want to say is that if the input signal is delayed (shifted) by, say, samples, then the output waveform is simply delayed by samples and unchanged otherwise. Thus , the output waveform from a time-invariant filter, merely shifts forward or backward in time as the input waveform is shifted forward or backward in time. The filter is nonlinear and time invariant. The scaling property of linearity clearly fails since, scaling by gives the output signal , while . The filter is time invariant, however, because delaying by samples gives which is the same as . Thus, scaling and superposition are verified. The filter is time-varying, however, since the time-shifted output is which is not the same as the filter applied to a time-shifted input ( ). Note that in applying the time-invariance test, we time-shift the input signal only, not the coefficients. The filter , where is any constant, is nonlinear and time-invariant, in general. The condition for time invariance is satisfied (in a degenerate way) because a constant signal equals all shifts of itself. The constant filter is technically linear, however, for , since , even though the input signal has no effect on the output signal at all. Any filter of the form is linear and time-invariant. This is a special case of a sliding linear combination (also called a running weighted sum, or moving average when ). All sliding linear combinations are linear, and they are time-invariant as well when the coefficients ( ) are constant with respect to time. or for all and . This establishes that each output sample from the filter of Eq. (4.7) can be expressed as a time-invariant linear combination of present and past samples. A simple practical example of a nonlinear filtering operation is dynamic range compression, such as occurs in Dolby or DBX noise reduction when recording to magnetic tape (which, believe it or not, still happens once in a while). The purpose of dynamic range compression is to map the natural dynamic range of a signal to a smaller range. For example, audio signals can easily span a range of 100 dB or more, while magnetic tape has a linear range on the order of only 55 dB. It is therefore important to compress the dynamic range when making analog recordings to magnetic tape. Compressing the dynamic range of a signal for recording and then expanding it on playback may be called companding (compression/expansion). Recording engineers often compress the dynamic range of individual tracks to intentionally ``flatten'' their audio dynamic range for greater musical uniformity. Compression is also often applied to a final mix. Another type of dynamic-range compressor is called a limiter, which is used in recording studios to ``soft limit'' a signal when it begins to exceed the available dynamic range. A limiter may be implemented as a very high compression ratio above some amplitude threshold. This replaces ``hard clipping'' by ``soft limiting,'' which sounds less harsh and may even go unnoticed if there were no indicator. The preceding examples can be modeled as a variable gain that automatically ``turns up the volume'' (increases the gain) when the signal level is low, and turns it down when the level is high. The signal level is normally measured over a short time interval that includes at least one period of the lowest frequency allowed, and typically several periods of any pitched signal present. The gain normally reacts faster to attacks than to decays in audio compressors. to show that both scaling and superposition hold. A simple example of a linear time-varying filter is a tremolo function, which can be written as a time-varying gain, . For example, would give a maximally deep tremolo with 4 swells per second. A nonlinear, memoryless, time-invariant ``black box'' can be ``mapped out'' by measuring its response to a scaled impulse at each amplitude , where denotes the impulse signal ( ). A memoryless nonlinearity followed by an LTI filter can similarly be characterized by a stack of impulse-responses indexed by amplitude (look up dynamic convolution on the Web). Similarly, the third-order kernel is three-dimensional, in general. In principle, every nonlinear system can be represented by its (typically infinite) Volterra series expansion. The method is most successful when the kernels rapidly approach zero as order increases.